A Special Invitation – Do You Remember This Occasion And Were You There? The above advertisement appeared in the November 1971 Berowra & District News. 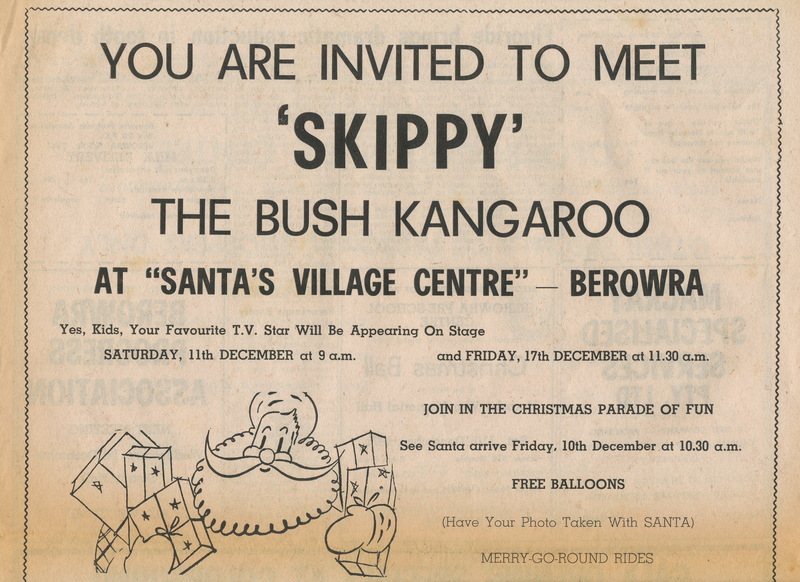 This newspaper was published by the Berowra Progress Association for a time in the 1970’s. It was distributed in Mt Kuringai, Berowra, Berowra Waters, Cowan, Brooklyn, Dangar Island. To encourage all local residents a FREE Bus Service was also advertised to operate from Brooklyn via Cowan to Berowra Village Centre on EACH Friday, between November 26th and December 24th 1971. The morning trip left at 11am with the return journey departing the Village at 1:30pm. A number of copies of the Berowra & District News papers were generously donated to berowralivinghistory by Mary Budd at the time of our first exhibition in 2007.